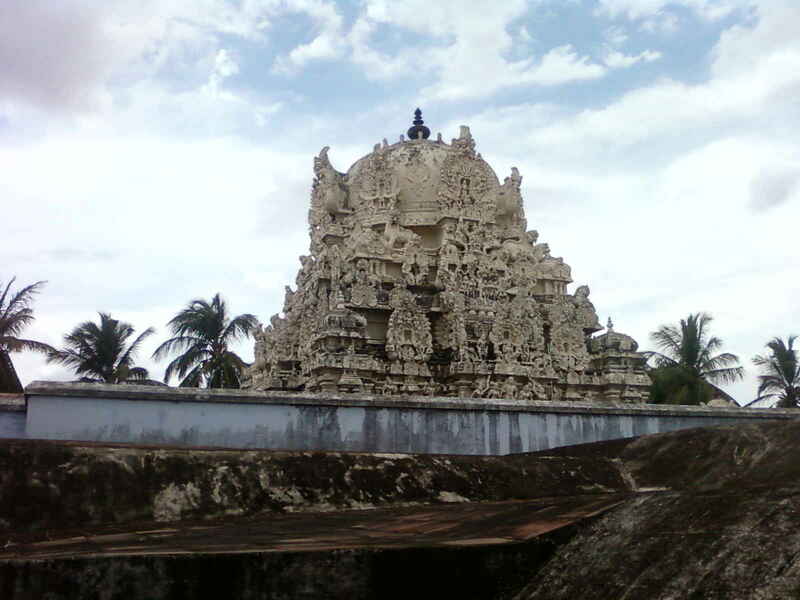 Located about 30 kms East of Tirunelveli on the Tirunelveli-Tiruchendur highway, Aathi Naathan Temple in Azhvaar Tirunagari is one of the Nava Tirupathi temples on either side of Taamaraibarani. This place is also referred to as Aathi Kshetram, Varaaha Kshetram, Theertha Kshetram, Thaantha Kshetram and Sesha Kshetram and is also called Thiru Kurugur. Most of the inscriptions here date back a 1000years. There is a separate Sannidhi for NammAzhvaar said to be more significant than the main Sannidhi itself for it was here that he spent 16 years in silence. This is the only Divya Desam to have the name of the Azhvaar. Naatha Muni, who came here to compile the Naalayira Divya Prabhandham composition, is said to have met with Madura Kavi Azhvaar and picked up ‘Kanninun Sirutha Ambinaal’ composition from him. It is believed that Naatha Muni recited these verses 12000 times before NammAzhvaar appeared before him to share the contents of the Naalayira Divya Prabhandham, which Naatha Muni wrote and compiled. 3 days before the end of the Raama Avataar, Lord Yama came to meet Raama. Given the timing, Raama asked Lakshmana not to allow anyone inside. Unfortunately for Lakshmana, it turned out that Sage Durvasa chose to meet with Raama. Knowing the sage’s anger and not wanting to be at the receiving end, Lakshmana remained silent and allowed him entry. As he stood still like a tree and did not stop the Sage from coming in, as instructed by him, Raama pronounced that Lakshmana turn into a tree. Saddened by this, Lakshmana pleaded before Raama that he could never live away from him. Consoling him, Raama said that he himself had to atone for the sin of making Sita stay in the forest and that he would be born as NammAzhvaar and stay ‘still’ for 16 years. During this period, he would sit under the tamarind tree (Lakshmana). He directed Lakshmana to the banks of Taamaraibarani, where he would get transformed into a tree. When born, Nammazhvaar is said to have not opened his eyes or cried. 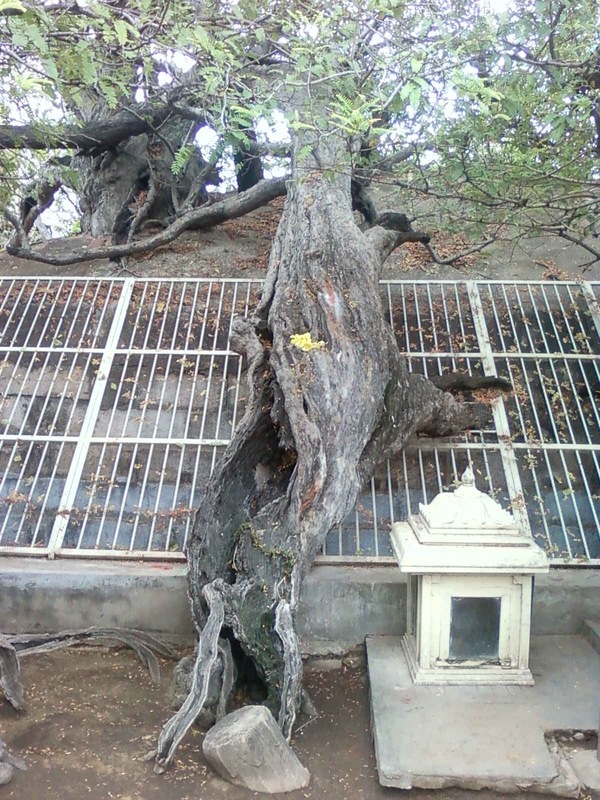 He resided under the tamarind tree within the Aathi Naathan temple for 16 years till he met Madurakavi (who later became his disciple) who posed some interesting questions about life. And that is when NammAzhvaar is said to have spoken for the first time. So impressed was MaduraKavi (Azhvaar) with Nammazhvaar’s answers, that he said ‘I do not need God, Nammazhvaar is enough’. The legend has that Goddess Boodevi was abducted by the demon Hiranyaksha and hid her on the Rasathala, deep under the ocean. Lord Brahma was in a dilemma to resume his ‘Creation’. He approached Lord Vishnu to find a solution for this serious issue. Lord Vishnu transformed into a wild boar and plunged into deep under the ocean. He killed the demon Hiranyaksha gracefully lifted Boodevi from the deep ocean. Thus, Lord Vishnu saved Mother Earth from the clutches of the demon; therefore this sacred land came to known as Varaha Kshetram. A special feature at the Aathi Nathan temple at Azhvaar Thirunagari is the stone nadaswaram said to be over 350 years old. 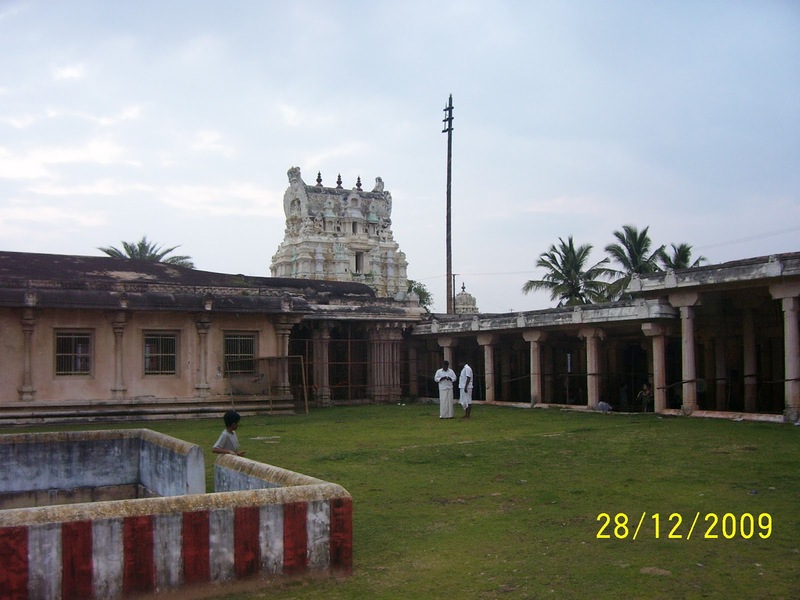 An important festival at this temple is Vaikasi Utsavam, when the deities from all the Nava Tirupathi temples congregate here on the occasion of Garuda Sevai to listen to Paasurams, with Nammazhvaar seated on the Hamsa Vaahanam. This is one of the three Divya Desams in TN where Araiyar Sevai, the visual song and dance enactment of the ‘Paasurams is still being performed. 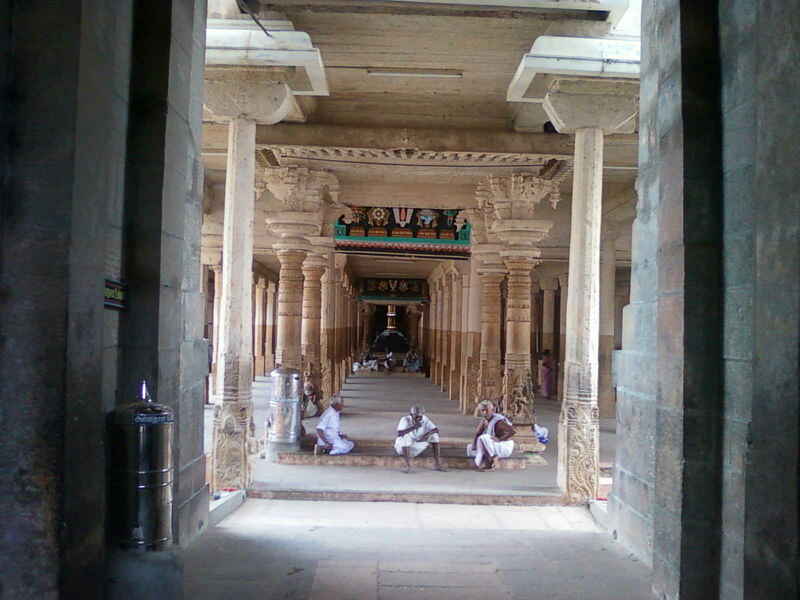 The temple is open from 07:00 a.m. to 12:00 noon and from 05:00 p.m. to 08:00 p.m.
Alwar Thirunagari is 34 kms from Tirunelveli after Sri Vaikuntam. Buses are available from Tiruchendur and Tirunelveli.